Rockin’ On the River 2017 in Troy’s Riverfront Park: Did You Say Free? Summertime fills the air with one-of-a-kind, free music–chirping birds, bikes whizzing by and children laughing as they play in the neighborhood. That’s not all the free music left to explore–all around the Capital Region, summer concert series have been crafted to offer a blend of different genres to the city’s inhabitants week after week. 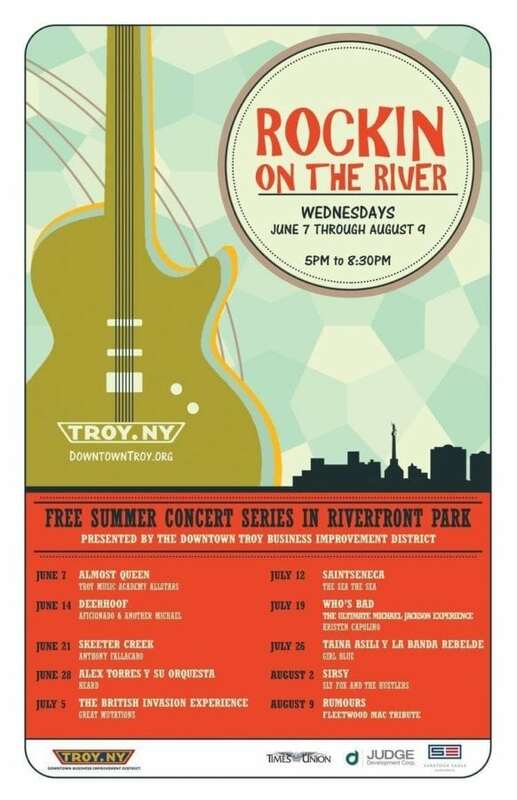 Rockin’ on the River in Troy has been a well-loved staple to its surrounding community, offering a free, 10-week concert series every Wednesday between June 7 and August 9. Wednesdays just got better, as “hump days” can now be marked on the calendar with *outdoor music at Riverfront Park* in downtown Troy. Attracting between 5,000 to 8,000 guests per night, the series already boasted four mid-week performances from Almost Queen, Deerhoof, Skeeter Creek and Alex Torres y su Orquesta. 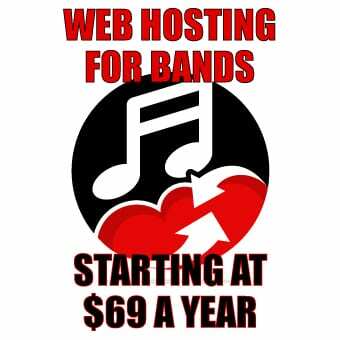 Lovers of live music can look forward to the remainder of Rockin’ on the River, to bring musical appearances from The British Invasion Experience, Saintseneca, Who’s Bad – The Ultimate Michael Jackson Experience, Taina Asili y la Banda Rebelde, SIRSY and Rumours- Fleetwood Mac Tribute to close. Rain or shine from 5:00PM to 8:30PM, the Downtown Troy Business Improvement District brings the summer concert series to residents free of charge and in turn, draws in crowds to Troy’s local shops and businesses, keeping the town thriving!